Exciting news about RS recording some new songs, posted on Facebook earlier today with a pic of the recording studio. My first thought, of course, was – yay! And one final thought: Before we move on to this next album, I think some follow up is needed from “Rocket Science.” In small print in the booklet, it says, “For the stories behind the bonus tracks “Mercy” and “Walkin’ In,” go to http://www.rickspringfield.com!” I’ve been to http://www.rickspringfield.com several times and have yet to find them. Has anybody else come across them? I am writing to ask you to please nominate Rick Springfield to be inducted into the 2018 Rock and Roll Hall of Fame. He has been eligible since 1994 so frankly I’m a little surprised that he hasn’t been considered yet. But that’s OK, no hard feelings, there’s always next year. And here he is, still rocking “Jessie’s Girl” last year on the “Greatest Hits” TV show, at age 67, 35 years after the song’s initial release. So what does it take to get nominated for the Rock and Roll Hall of Fame? Next: “demonstrating unquestionable musical excellence and talent.” If you’ve ever seen him perform or paid attention to his songwriting through the years, you know he’s got that one down. 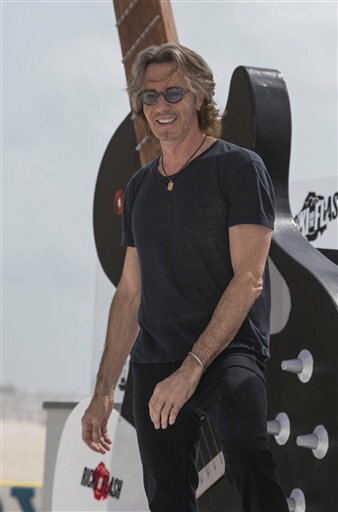 RS was also featured in another documentary, created by his fans, “Affair of the Heart,” which shows the impact he’s had on his fans – and younger performers. When you listen to his songs throughout the years, you’ll see all the different styles of music he’s created (evolution). For his most recent album, “Rocket Science,” from 2016, he dabbled in country. For the purposes of the Rock and Roll Hall of Fame, I suppose it won’t do any good to mention that he’s also had a successful acting career in TV and films and has also written two best-selling books, one a novel and one a memoir, but I personally think that’s very impressive. Plus he’s also performed on Broadway and performed in “EFX” in Las Vegas. If you get an opportunity to attend one of RS’s live shows this year, I highly recommend it so you can see for yourself what an amazing songwriter/musician/performer he is and why he deserves to be in the Rock and Roll Hall of Fame. Flashback: Two years ago tonight, a tornado of thoughts swirled around in my head as I stood in line to meet Rick Springfield. I was still on a high from the concert, which was the first RS show I had seen in 15 years. I was about to meet – for the second time, the first time was at a L.A. music store in 1999 when he signed his new “Karma” CD – the man whose face was plastered on my bedroom walls in the 1980s and whose songs played on a loop throughout my teenage years. About eight months earlier, I had started writing this blog after discovering an interview with him about his novel “Magnificent Vibration” on our public TV station website and was curious what else he had been up to. After reading his memoir “Late, Late at Night” and catching up on his music over the past few years, I found myself hooked once again. So here I was with a little glimpse of him at the front of the line trying to think of what I could possibly say to him that could sum up all that I was feeling. Fortunately I had the foresight to bring a note to the show with this blog address on it, with the hope that I would have the opportunity to give it to him. Then a photographer took our picture, RS put my note in his pocket and my time was up. This year also marks 20 years since she died, which I find so unbelievable. There are so many things I wish I could talk to her about, especially since I am now a mom myself. This time of year I also think about how young she was when she died – 52 years old – and how close I am getting to that age. Sorry this post ended up being such a downer. But life is filled with up and down moments and sometimes that has to be acknowledged. So in memory of my mom, here are the lyrics to a song I wrote a year after she died. Who knows where we’ll be?